There's a leisurely ambiance to this colourful valley, seen here in springtime. 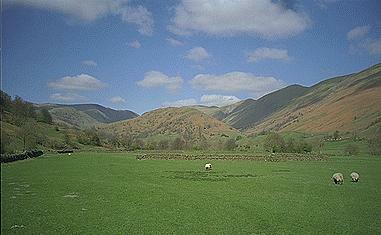 Troutbeck Tongue has centre stage with Ill Bell and Froswick on the right leading to Thornthwaite Crag, and Caudale Moor on the left. Larger version of this picture.